Yep – that’s right I’m running on Valentine’s day!! Support me! 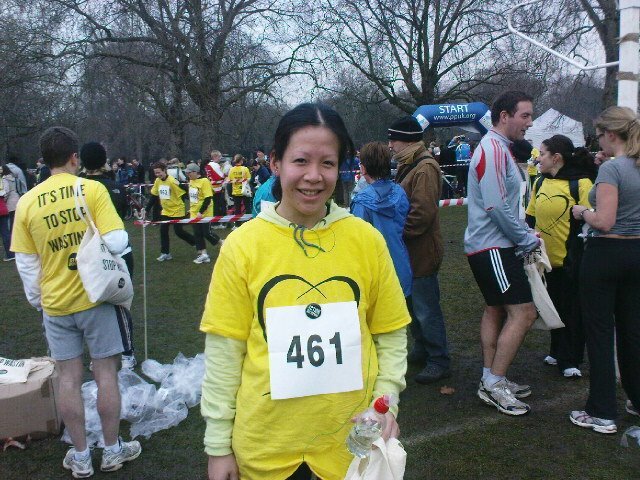 I usually run for fun but, this time I thought why not add a charity to help me get across the finishing line. (49 days countdown) – boxing day. 1st day back and my body’s woken up. remind me why i like doing this again? (38 to go) MY GOD it’s been FREEZING OUTSIDE!!! got to keep going! totally amazing – reached over target, it would be FABULOUS to see it reach £400 Samaritans have got in contact with me and are delighted with our response already and has offered any help for me in prepping for the race / training. v friendly. (31 to go) …I miss my booze …..waaaahhhh! training now 4-5x a week. back on track with 45min training runs. over the weekend I managed 9k in 49mins…can feel competitive side coming out once again. I remember how hard it was at beginning of this, last month and feeling the difference already. support still generously coming in. can’t let people down. thank you everybody. fantastic. 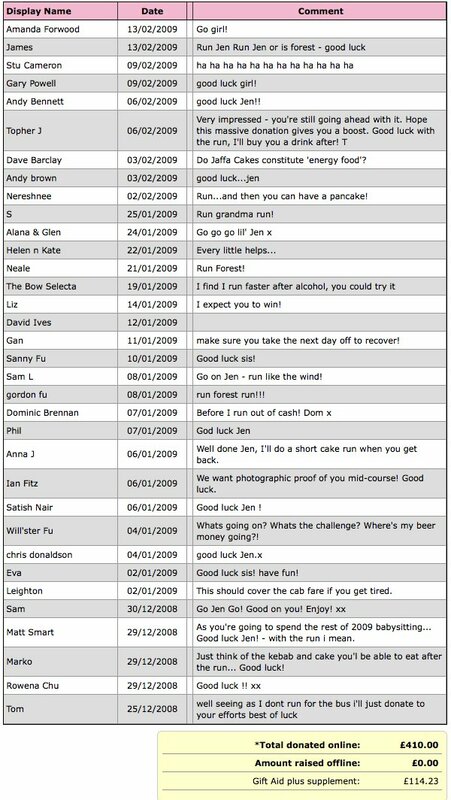 (28 to go) finding the absence of alcohol tougher than the training. first time being sponsored and with people backing me with their money, i feel i need to put a good run in, so this is the first time i’ve cut out alcohol..starting to believe I’m sort of alcoholic.. either that or I’m surrounded by them! (16 to go) days creeping up. had a work do that I drank plenty at, and could feel the difference in comparison of being tee total during training. picking a faster time for 5k now. but it stretches for distance. not getting in much time to train now. know not to over do it as race draws closer. amazed target gone past £300! (12 to go) we’re into february and feeling rather queasy now..training been hard to fit in as well. admittedly nerves are in..know on the day i will be fine..
(6 to go) achieved 10.1k in 54 mins. BRILLIANT! I did my first 10k last year in an hour exactly and knew I had more in me to do better. V Happy. Hope weather holds up for next week. Don’t mind the cold. It’s the wind. (4 to go) on the carbs now. pushed better timings for 9.1k. very happy with workout. whole body aching. final longer distance run before race. rest and change of training now. I FELT BRILLIANT YESTERDAY! I GOT 56MINS. V HAPPY INDEED!! woke up at 0600 to eat properly. I had been totally drained the friday from a long week at work, that I was bit worried how physically tired I was – how on earth would I be for next day! I felt incredibly high afterwards, with the buzz of what I had achieved. Taking only an hour of your time to do something worthwhile is great. Plus running first thing, allows you to get on with the rest of day still. There’s no such thing as lazy or having no time. Some people were simply speed walking with friends and happily chatting the whole 10k! There was a dog running one of the laps with its owner, that I had to slow down and run part of the way with them as it was so cute!! Everyone was very friendly. – get 56 mins worth of exercise and fresh air in! an overall feeling of just feeling high and good! It was ABSOLUTELY FREEZING AFTERWARDS walking to the tube. Soaked through 5 layers of running gear from the race, in the icy cold morning air. I had no dry clothes. It’s fine when you’re running, but as soon as you stop moving..bbbrrr..! but AN INCREDIBLE SENSE OF ACHIEVEMENT was definitely worth it. Today my legs and body are showing the results. Think I will put my feet up for a bit! EVERYONE – THANK YOU FOR YOUR SUPPORT, ADVICE, KIND DONATIONS and your sense of hilarity of testing my will power of tempting me with drink throughout these last two long months. I even surprised myself! Thank you. so – now who’s round is it….